Very good location near the centre of town. Friendly staff. Room was comfortable and a good size. Good food and nice bar/restaurant area. Although in need of TLC, the hotel is full of character and magnificent from the outside. English Breakfast was ok as was evening meal. Usually like staying at the Manor, bang in the middle of town, and if you are lucky you get very big rooms with character! It was very central to everything and easy to find. The beds were comfy and it was good value for money. Lovely big room, comfortable bed. Hotel ideally situated for my planned visits. Town easy to access on foot, a few pubs and restaurants close by. 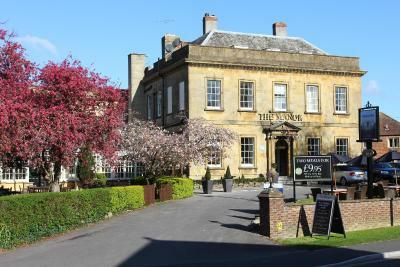 Fully refurbished in November 2011, The Manor Hotel is located in the Somerset town of Yeovil with easy access from the A303. It offers a restaurant, a relaxing bar and cosy rooms with free Wi-Fi. Rooms at The Manor are traditionally decorated, and each has a private modern bathroom. All rooms feature tea/coffee facilities and a TV with satellite channels. The bar offers real ales and fine wines, and there is also a pretty beer garden. Just a 40-minute drive from the Dorset Coast and Glastonbury Abbey, Manor Hotel is within an hour's drive of Wookey Hole and Cheddar Gorge.. There is free on-site parking, and the market town of Sherborne is a 15-minute drive away. Manor Hotel by Greene King Inns has been welcoming Booking.com guests since 3 Aug 2005. 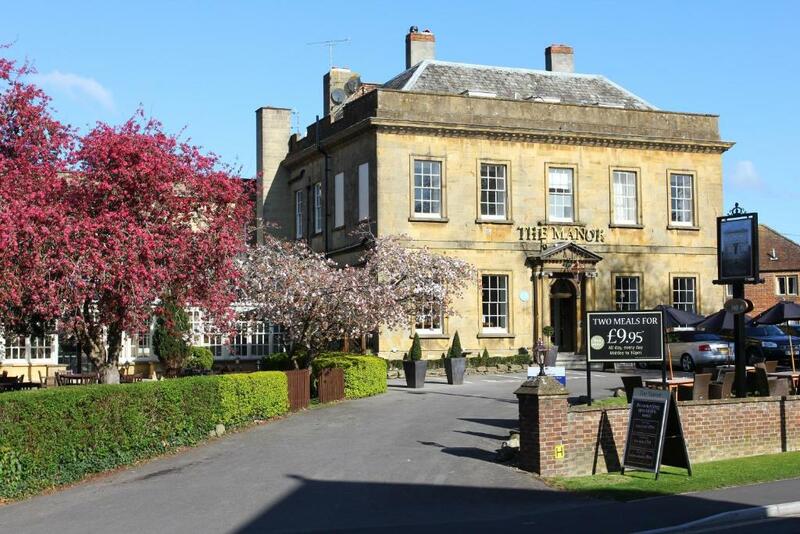 When would you like to stay at Manor Hotel by Greene King Inns? More spacious than the standard room types, these Superior rooms feature an en suite bathroom, TV and tea/coffee making facilities, and some have a four-poster bed or sleigh bed. Guests staying in these rooms have the option of late check-out (12 noon) and express check-out. House rules Manor Hotel by Greene King Inns takes special requests - add in the next step! Manor Hotel by Greene King Inns accepts these cards and reserves the right to temporarily hold an amount prior to arrival. On some weekends, the hotel hosts private functions with loud music. Please notify the hotel if this is likely to be an issue, which can be done by using the Comments Box when booking. The Manor is non-smoking throughout. Shower could have been better. Cloud WiFi rather than Hotel’s own. Kept signing us out, so we constantly had to sign back in. I had no sleep whatsoever due to noise. A very loud disco directly under my room that finished after midnight as well as a neighbour playing an annoying kind of musac for four hours- the same four bars of clinky music repeated endlessly. Although there was a phone in my room, there was no number to call reception. I had to get dressed and wander the hotel looking for help. Nobody on reception and nobody came even after ringing the reception bell repeatedly. Eventually I managed to get someone to respond to me banging on a door marked private. They then did wake up the annoying guest and get him to turn off the noisy racket! What the heck was he playing???? I accept the ignorant neighbour was beyond the hotel’s Control, but they should have housed the wedding guests above the noisy wedding party. The most important reason for booking a hotel, rather than sleeping in a car- is to SLEEP! The bed and linen and the size of the room. There was nothing that I did not like, the stay was satisfactory given the reasonable rate charged. Hassle from beginning to end, also had a family meal there. First when going into the room, the key didn’t fit. We went to reception, after a little wait someone came up to try the key, they tried for about 10 minutes and finally got it working, and they said, there we go! As if that would be alright, us twisting it around for 10 minutes every time we wanted to go into the room. We asked if they had another room, after another wait while they spoke to the manager, they came back to say, there were free rooms, but they were waiting for people to check into them. Couldn’t quite see why they couldn’t have had this room! Anyway, we had a family meal to go to so carried on. The meal was pretty terrible, they didn’t have our booking which we had confirmed - twice! Finally got them to lay us a table, wait was ages, meals had things missing, staff really didn’t seem to care. As did the manager who we eventually saw, who tried to convince us it wasn’t their fault. Doubt I’ll stay there again.. Shame. Very friendly helpful staff and good restaurant for my gluten intolerant son. They ran out of rum. Dinners could have had easy to see gluten free options. Breakfast really good and very comfy beds.